Afghan Kilim Rugs are beautiful, handwoven durable rugs that are known for their sharp patterns and boldly geometric designs. 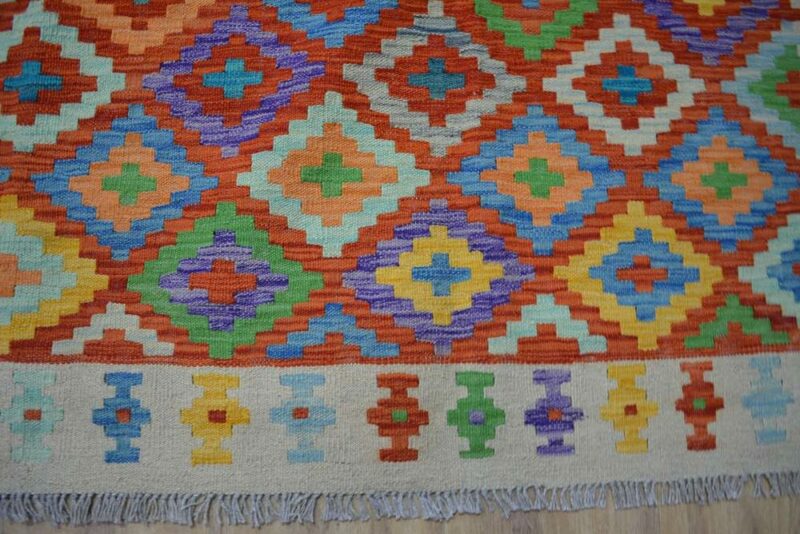 Kilim rugs have the benefit of being light and portable. 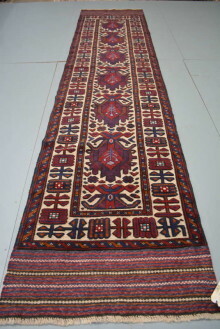 Persian kilim, Turkish kilim, and Afghani kilim are all made of durable and long lasting wool. SKU: 3km48. Categories: KILIM SALE, KILIM. 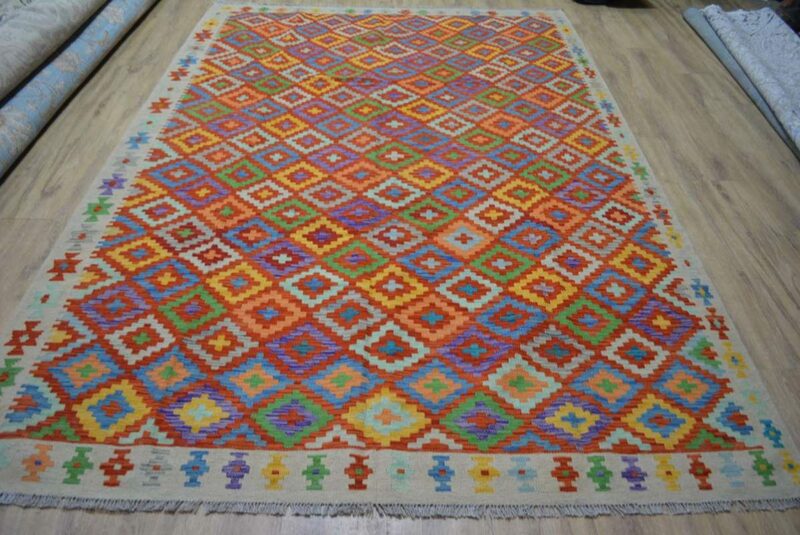 Tags: afghan rug sydney, kilim melbourne, kilim rug, kilim rug sydney, kilim rugs, persian rug sydney, tribal rug, turkish rug melbourne, vintage persian rugs. Afghan Kilim Rugs are beautiful, handwoven durable woolen rugs that are known for their sharp patterns, boldly geometric designs and smooth weaves, which are sometimes used as beautiful decorations or for prayer. 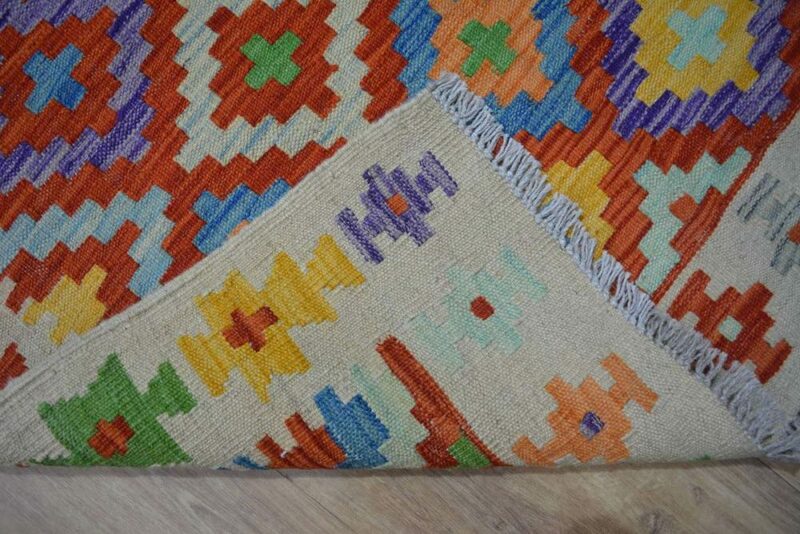 This particular kilim rug, like many in our collection, is made from naturally dyed wool. 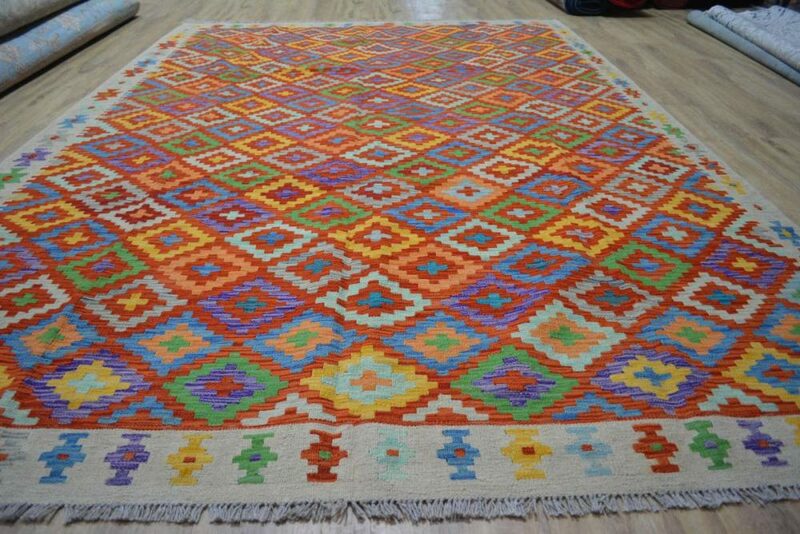 Kilim (sometimes referred to as Gelim or Kelim) rugs are a type of flat-woven rug that is lighter than typical ‘pile’ rugs. This kilim rug can also work as an excellent wall-hanging and showpiece because of its lightness and aesthetic similarity to tapestries. 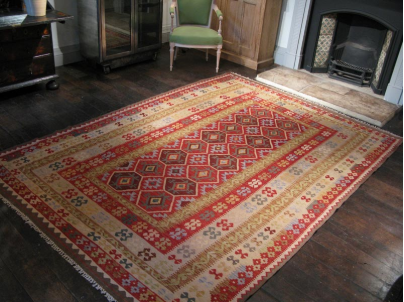 Like all of our carpets and rugs available in store or online through West End Co., every kilim rug is unique and can also serve as a fine collector’s item or long-term investment. These rugs are available in our Brisbane rug store, or available online.